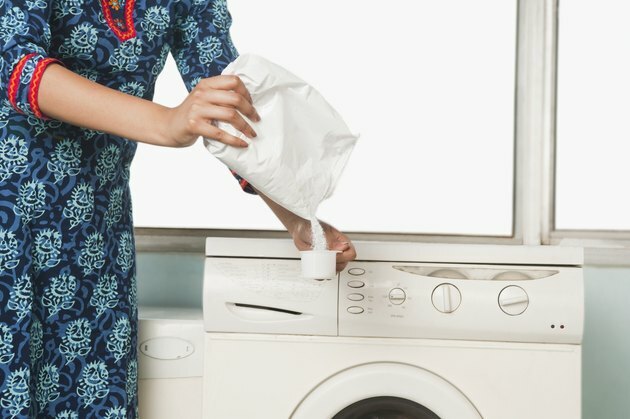 When it comes to doing your laundry, there are many different powder options. Choosing the right one can be confusing, especially if you don't exactly know the differences between them. 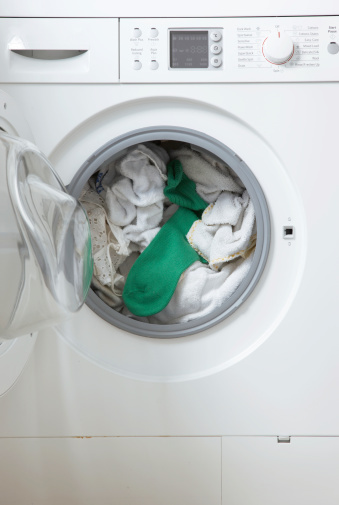 But in order to get your washes done just right, the type of detergent you use can make all the difference. Borax (full name sodium borate) is a natural mineral salt with powerful cleansing properties. In fact, it's a very common ingredient in most types of powdered laundry detergent. It can be used as a single ingredient to clean surfaces such as ceramic tiles or stainless steel. Borax can also be used as the cleansing agent in homemade washing powders. It's caustic (meaning can damage organic tissue) so gloves are recommended when using it. Washing soda is similar to baking soda, but should not be confused with it. Washing soda is sodium carbonate, a caustic ingredient which should never be eaten and should not come into direct contact with skin. Baking soda is sodium bicarbonate, which, although it does possess some cleansing qualities, is nowhere near as powerful as washing soda. Washing soda and borax have similar properties, though washing soda is stronger and can cause more issues if it comes into contact with skin or eyes. Powdered Castile soap offers a gentler cleanse and is typically not strong enough to be used alone to clean laundry. If you want to make your own washing powder, it can be blended with either Borax or washing soda in a two to one ratio. Many people prefer to use one of these simple recipes rather than store-bought washing powders in order to avoid certain chemicals or added fragrances. If you don't have the time nor the inclination to make laundry detergent at home, it can also be bought ready made. These washing powders tend to contain a variety of cleansing agents, as well as extra features such as fabric softeners, optical brighteners and special fragrances. Non biological washing powder formulas are gentler, both on clothes and on skin, than biological options. Store-bought biological washing powders contain all the same types of ingredients as their non-bio counterparts. What sets them apart is the addition of enzymes, which are particularly useful at getting rid of stains. Enzymes are attracted to fatty, greasy or starchy compounds which tend to make up food stains. They're also great at removing natural body odors or other natural stains, like mud or grass. However, over time biological washing powders can break down fabrics. They can also cause adverse reaction in those with sensitive skin, so they're best saved for extremely soiled loads and used once in a while. What is the Difference Between Dish & Laundry Liquid?